design a solution for you. Power Torque Incorporated has been a distribution leader in the Power Transmission and Electrical Control industries for over 60 years. Our experience in both, the mechanical and electrical fields, and our vast array of inventory, allows us to provide a one stop shop for your motion control and plant automation needs. Power Torque also produces special machinery and custom electrical control panels, to solve a wide range of motion control problems. Our customers have been able to count on Power Torque to provide innovative solutions, which results in their being able to offer their customers leading edge technology and solutions. 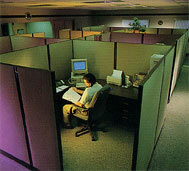 Power Torque has also excelled in specialized areas such as, automating machinery that used to be very labor intensive. This type of solution allows our customers to benefit from higher, more accurate production, while eliminating possible injury and worker’s compensation claims. At Power Torque, we understand that each one of our customers is unique. Before beginning any project, we meet personally with our clients and analyze all possible concepts in order to provide the best solution that satisfies their specific requirements. With over 500 years of combined experience in industrial automation design, our dedicated team of professionals offer innovative solutions. We also provide a detailed proposal on every project and keep you informed if any alterations are needed. 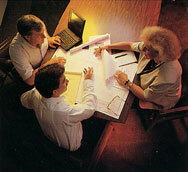 You can rest assured that your project will be on time and within budget. Our qualified engineering staff designs and develops every project completed at Power Torque. 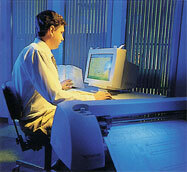 Exact details are engineered and plotted on our state of the art computer equipment. Power Torque maintains only the latest in CAD processes and programs, and utilizes only the best components to guarantee our customers the pinnacle of performance. The engineers at Power Torque personally design, build and troubleshoot your project to your specifications and can meet all UL requirements upon request. With products designed and produced by Power Torque you can rely on years of trouble free operation. Power Torque takes pride in producing quality controls and equipment that meet your strict design requirements. We can also make almost any modification or adaptation to your existing equipment. 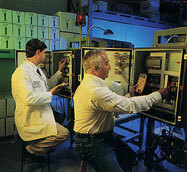 Lab Technicians thoroughly inspect every aspect of production from design specifications to product assembly. All equipment is final tested then approved by our engineering supervisor before being delivered complete on-site ready for installation and startup. With products manufactured by Power Torque, you can anticipate many years of endurance and reliability. Power Torque has built it's outstanding reputation on prompt delivery of in-stock quality products to the industry. Power Torque specializes in designing stocking programs for the OEM customer. 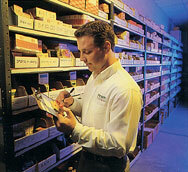 We use our customer’s part number to stock dedicated inventory specifically for that particular customer, this process helps to guarantee “ just in time delivery”, and decreases the chance of part number allocation errors; this, along with many other exacting processes, allows our customers to depend on Power Torque for immediate delivery of all of their power transmission and electrical control panel needs. Because we understand that possible downtime can interfere with your crucial deadlines, we stock thousands of components that can keep you up and running. You can depend on Power Torque's many quality assurance and inventory services, because our mission is to "exceed our customer's expectations". This same mission has allowed Power Torque to serve thousands of customers worldwide, for more than 40 years.